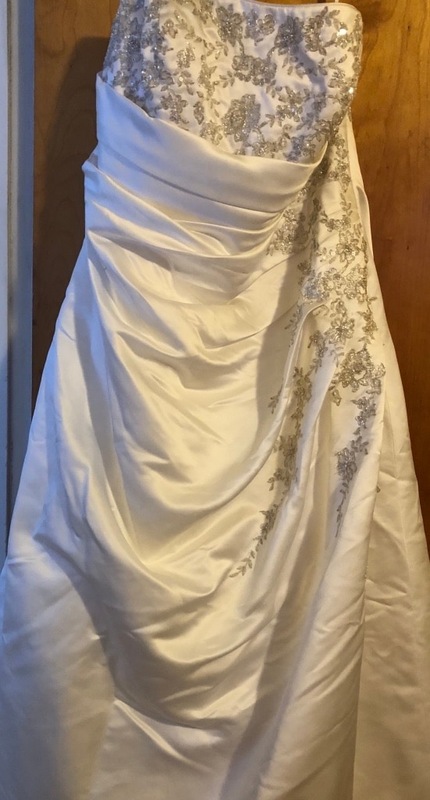 Strapless w corset back and bustle. 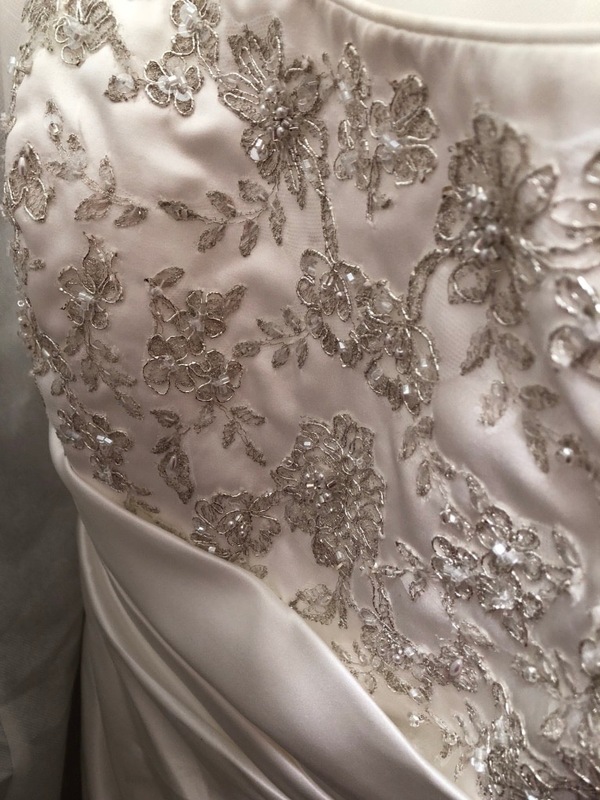 Lace trimmed and sequins flowers and pearls. Also comes with a slip skirt 26w and a corset bra!! 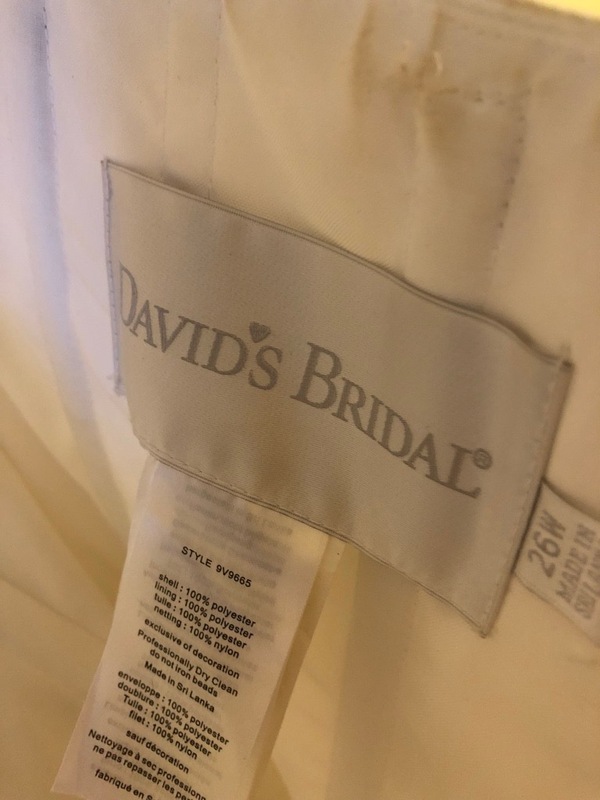 Preservation Method: Dressed stored in original bad from David?s Bridal. Also included with dress is a slip skirt 26w and corset strapless bra. 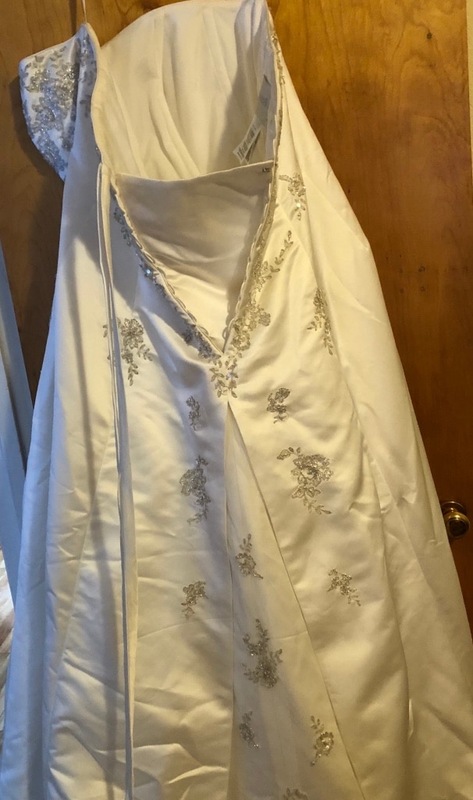 Favorite memory in dress: The whole day! !